Successfully self-publishing your book is no simple feat. You spend months (maybe years) crafting the perfect story. Then comes proofing, editing, formatting, book cover choices, ISBN decisions, and much more. You’ll probably drink way too much coffee and lose too much sleep before you finally have a finished book you’re proud to call your own. So once your book is available for sale, can anyone blame you if you feel like bragging? The trick is to not be like that overly proud parent everyone tries to avoid—you know, the one who’s always gushing over junior’s latest burp, and constantly pushing photos under the noses of uninterested passersby. You need to master the fine art of bragging without being boorish! Focus on the process. Talk about how, through trial and error, you learned how much time to allot each phase of the project and the methods you used to stay on track. Discuss what worked and what didn’t. Organically weaving in information about your achievements lets you “humble brag” without seeming like you’re bragging at all. Your listeners or readers will appreciate learning from your experience while also becoming more aware of you as a writer—and of your great new book. Bring backup. Attend events with someone at your side who is ready to jump in and praise your book. If your wingman (or wing-person!) is also an author, be sure to return the compliment by saying nice things about his or her book. Be genuine about your successes. It’s perfectly fine to be proud of what you’ve accomplished. Your soon-to-be readers will definitely respond better to a positive attitude than if you spend all your time complaining about the difficulties of dealing with popularity. In fact, if you’re successful with your self-published book, now’s the perfect time to pay it forward and become an inspiration and mentor to struggling new authors who are also considering self-publishing. Use the force (of social media). An active and engaging social media presence is essential for today’s self-published authors. Just be sure your Facebook and Twitter feeds aren’t a succession of “Buy my book! Buy my book!” Mix in interesting info, fun images, and details about book signings and appearances. Having a professional book trailer, creating short “How-To” videos about your writing process, and recording your book signing events and readings—then posting these on your website, social media, and YouTube channel—will help drive eyes to your book, effectively advertising without overkill. This type of “bragging” could easily be your most effective marketing tool. Stand out. Being humble is an admirable trait, but self-confidence and positive energy will make a more memorable impression on your audience. Share your success in ways that will make it easy for others to benefit from your positivity and knowledge. You may even inspire other writers to pursue self-publishing as well. Bragging without being self-centered will make you a voice people want to hear. QUESTION: Have you ever found a time when bragging has benefited you and your work? 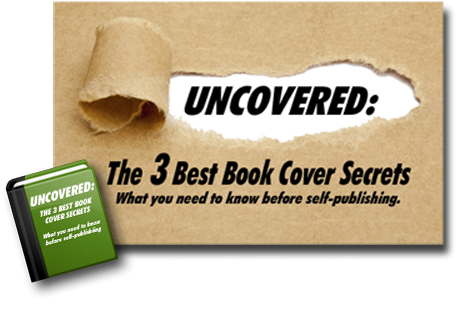 ← Where Are All The Readers For Your Self-Published Book? Find Out. Just as a comment — and maybe I am an anomaly in how I view it — but I have a “distrust” of discussions on “the writer’s process”. While it may be useful for some to have an understanding of the mechanics in which a particular writer engages when attempting non-fiction or a biography or a “how-to” instructional book, when crafting a poem or short story or a longer, sustained piece of prose, I have always felt that it is quite difficult, if not impossible, to describe or discuss “How” something bursts forth from the wild and chaotic unconscious and finds itself transformed into a voice, or experience, that lays still on the blank page. Intellectualizing “process” always seemed to me to be a way of “pretending” one is in control; that the work is somehow “in service” to the writer, who is therefore greater than the art s/he creates. I am speechless, sometimes embarrassed, whenever I’ve been asked to intellectually describe how this became that, or to explain my own process in words to others. The form has a way of finding itself; and I feel more “honest” with myself, and others, if I admit that I don’t actually know how to express “process”; that I am more often confused than not and in awe of the process that occurs when writing — how ideas or images evolve, disconnest and reconnect themselves; how the relationship between carefully lain words can convey texture, rhythm, emotion; and why certain choices get made or omissions become evident when editing or proofreading a work. In my mind, nothing could be further from the act of creating than the attempt to force oneself upon it; to “insist” upon one’s mastery or control over it; to intellectually “talk it away”.